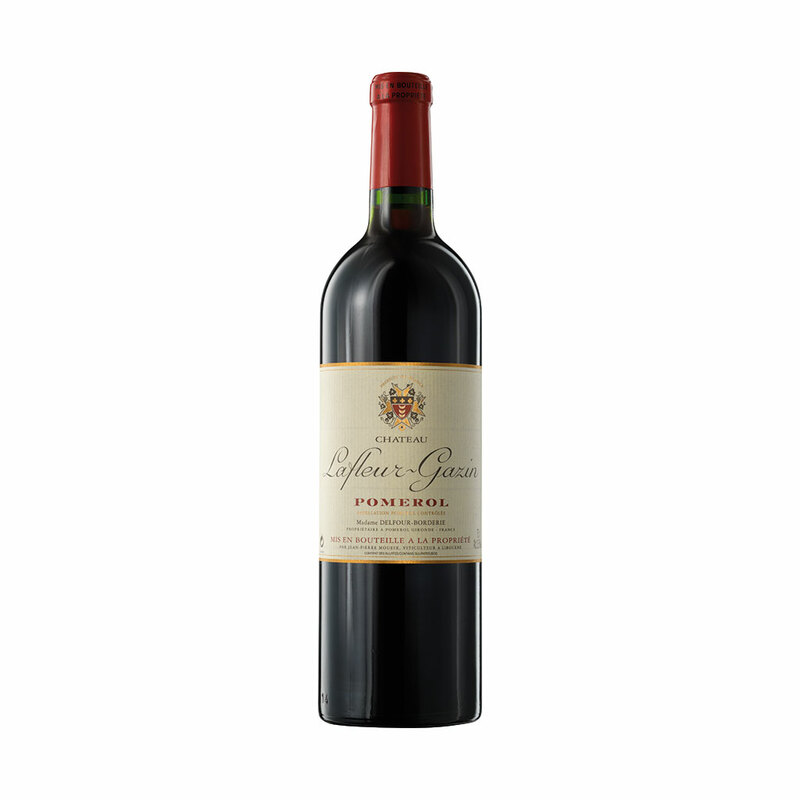 The vines of Lafleur-Gazin lie on the edge of the clay-rich, central plateau of Pomerol, between two famous neighbours: Châteaux Gazin and Lafleur. The vineyards have been managed since 1973 by Ets. Jean-Pierre Moueix, on behalf of the grand-daughters of owner, Mme. Delfour-Borderie. This 2017 comes 100% from Merlot grapes, giving a wine of opulent richness and creamy texture. Average age of the vines is around 35 years. In the cellar, a fifth to a quarter of the barrels are renewed each year. Like many Pomerol châteaux, this is a small property (with just 21 acres under vines). In colour the wine is medium-rich purple, with fresh, ripe blackberry aromas, very pungent. The palate is densely structured, with consistent fruitiness from start to finish, and rich, well-rounded tannins, finishing impressively complex and long (for drinking 2021-2032+).